Wedding planning can be a huge source of stress if you’re not the traditional type who’s been dreaming of your wedding day since you can remember. If you have been losing sleep over all the details and cost of having a wedding, you should probably think about eloping on the Gold Coast. And while elopement might seem like a Vegas thing to do, the spontaneity and intimacy of it – combined with a beautiful waterside location, are sure to make it a special and romantic memory to last a lifetime. If you are seriously considering eloping, we have gathered a few tips to help you make the most of it. 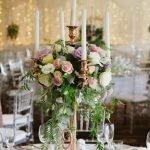 While the spontaneity of the moment might just lead you to city hall and get it done, we think you should still use this special day as an excuse to have a romantic celebration of your love for each other, and nothing can make your memories dreamier than a beautiful location close to nature. Popular destinations include Indonesia, Thailand, and Vietnam, but if your budget or schedule won’t allow for such a wild escapade, why not look somewhere closer to home? Southeast Queensland has some beautiful waterside locations, like Currumbin, where you can make your most romantic wedding dreams come true. When you make a decision on the spur of the moment, which is how eloping usually happens, you might just get so excited and carried away you don’t tell anyone about it until after it’s done. This might be okay for your friends, who will probably be very happy for you and want to hear all about it, but your family members, especially those closest to you, might actually feel hurt that they didn’t get the chance to be part of your special day. We recommend calling them in advance, letting them know what you’re going to do, and maybe even check if they want to be included – yes, it’s still eloping if your parents and in-laws are there. If you really can’t wait to tie the knot, make sure you call them straight after, and if anyone’s feelings get hurt, we believe a hand-written note can really help. Consider having some post-cards done with photos of your wedding adventure, and send them to those who you would have invited if had had gone the traditional wedding route. As long as you plan it for the weeks immediately following your wedding, there’s nothing wrong with having a casual wedding celebration. You can even have a wedding registry – just make sure you don’t wait too long to make it happen, as some might consider it to be in bad taste. If you have decided on eloping on the Gold Coast and are looking for the perfect location, or if you have already tied the knot and need a venue for your post-nuptial party, our team at Waterside Events in Currumbin can help you. Talk to one of our staff members on 07 5534 0970, or Contact us – Here.